BEND, OR / ACCESSWIRE / January 25, 2017 / Nano Dimension Ltd. (NASDAQ: NNDM; or the "Company") is focused on the research and development of advanced 3D printed electronics. The Company's goal is the development of a PCB (Printed Circuit Board) 3D printer and a suite of Nano Dimension technology products including conductive and dielectric inks specifically for PCB professionals, enabling the ability to take full control of PCB development and significantly shortening time to market. Nano Dimension is delivering on its goal, and currently in the beta stage of developing their DragonFly 2020 3D Printer line, with 6 customers taking delivery of the printers in 2016. Beta partners include a top 10 U.S. bank; a U.S.-based Fortune 100 technology corporation; FATHOM; one of the top 10 defense contractors in the world; PHYTEC; and a leading defense company in Israel. On January 12, 2017, the Company announced a significant technology breakthrough with the successful 3D printing of a series of multi-layer rigid PCBs, connected through printed flexible conductive connections, representing a solution to traditional production limitations in the electronics industry. In support of the printer, the Company has developed proprietary software allowing the printing of electronics-design files with flexible connections. The software includes a unique algorithm converting three-dimensional (CAD) files to files that can be 3D printed. 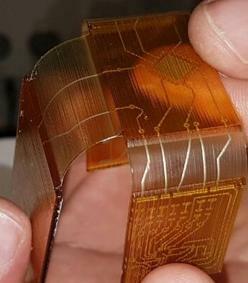 Additionally, the printed materials use unique conductive ink with exceptional flexibility properties, as well as dielectric-material ink that enables both rigidity and flexibility, also manufactured by Nano Dimension. The Company's DragonFly 3D printers have been primarily purposed to drive efficiency in the prototyping process, allowing users to print PCB prototypes in a matter of hours, reducing design and test cycles from weeks or months, to days. The Company sees significant demand for the DragonFly in its current form, with over 2,500 entities having signed up for information on the Company's waitlist for the DragonFly 3D Printer. The Company has also identified growth opportunities for their printer line in the marketplace. Nano Dimension has announced plans for the future, with the goals of: increased speed, the ability to produce larger objects, and to incorporate a broadened materials portfolio. Increased Speed utilizing unique technologies for jetting, curing, etc., allows for industrial production throughput potential; Increased Scale allowing for larger objects to be printed with higher resolution traces is anticipated to meet the needs of additional segments of the market; and Broadened Materials portfolio allows for applications to print electrical components including resistors, capacitors and transistors, among others. Nano Dimension recognizes their precise multimaterial printing technology is well suited for other domains, and is exploring rapid 3D Bio-printing of cells, tissues, and organoids; the Company has successfully printed viable stem cell-based tissues in a series of preliminary tests. Nano Dimension takes a proactive approach to protecting its intellectual property, with a strong IT strategy for protecting its print process, materials and software. The Company currently has 18 patents & patent applications filed, with additional intellectual properties in nickel Nano particles and developing Nano copper ink. Nano Dimension's highly experienced management team appears to have the Company in a strong position to disrupt the prototyping industry, with the PCB market currently estimated at around $70 billion. While there are a number of other companies (including HP and Xerox, among others) making inroads in 3D Printed Electronics Platforms, Nano Dimension states the Company has no direct competition for their unique product line. IoT Agenda reported "The only PCB printer truly working in 3D today is the DragonFly 2020…"
3D Printing Industry reported: "The next generation of printers will enable some remarkable applications perhaps, Nano Dimension 3D printers might well be one of the tools behind such future innovations." Engineering.com reported "With the DragonFly platform, Nano Dimension is bringing innovation both to the worlds of PCB production and 3D printing." Gartner reported "Nano Dimension's 3D printer overhauls the ways electronic product development teams work"
Nano Dimension (NNDM) represents a very intriguing opportunity for investment and appears positioned for what could be explosive growth, should the Company be able to deliver their line of DragonFly printers and its ancillary products and services in an effective manner. The DragonFly line looks to provide a substantial benefit to an industry looking for innovation and willing to adopt the disruptive technology the DragonFly is designed to deliver. Nano Dimension has the potential for ongoing growth, with scaling the speed, size and materials handling capabilities to address a much larger market, along with application potential to provide their disruptive technology to the healthcare industry, among others, over time. Upon your personal due-diligence, we believe you will find NNDM a compelling investment opportunity.